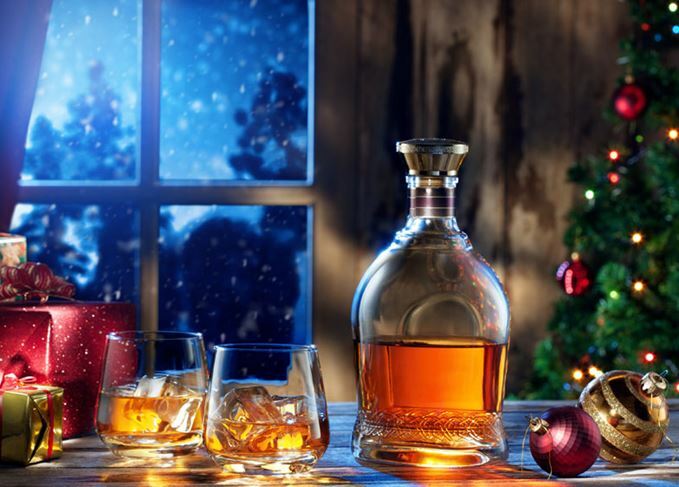 Finally it’s Christmas Eve, which means the return of the Scotchwhisky.com’s Christmas quiz, back due to popular demand. Merry quiz-mas: Can you beat your friends with your top-rate whisky knowledge? Below are 20 questions designed to test your Scotch knowledge and how well you’ve kept track of whisky happenings over the last year. Don’t worry if you don’t know the answers off the top of your head; they can all be found easily by searching the website or by scrolling to the bottom of the page. Go grab a mince pie, pour yourself (and your family) a dram and take a few minutes to indulge in a little mental exercise because – let’s face it – at Christmas who doesn’t love a quiz? Don’t forget to let us know your scores by tweeting us or leaving a post on Facebook. 1. Plans for many new distilleries were revealed this year, but which was the first new Scotch whisky distillery to open in 2016? 2. Which distillery is said to be haunted by a ‘White Lady’ with a penchant for DIY? 3. Who succeeded Gordon Motion as master blender of The Famous Grouse in March this year? 4. What was the original name of Ferintosh distillery, founded in 1879? 5. Which peaty whisky celebrated its 200th anniversary in 2016? 6. Which independent bottler revealed plans to build Islay’s ninth distillery this year? 7. How many people visited a Scotch whisky distillery in 2015? a) 720,000, b) 1.1 million or c) 1.6 million? 8. In October, a bottle of Glenfiddich Rare Collection 1937 broke the record for the highest amount paid for a Glenfiddich at auction. What was the hammer price? 9. Which Speyside distillery released a whisky for the first time in two decades in celebration of its 50th anniversary? 10. Which silent distillery is pictured above? 11. Glenfiddich’s IPA Cask single malt is the result of a collaboration with which brewery? 12. In September, Compass Box released its Three Year Old Deluxe blended malt, but what proportion of the blend is made from three-year-old whisky? 13. Which blended Scotch whisky became the first to print nutritional information on its labels in July this year? 14. Hollywood actor Gerard Butler was enshrined in Scotch whisky history in June when which distillery named a bottling after him? 15. Which distillery features these unusually-shaped stills, pictured above? 16. Which American President was said to carry his own oversized bed, a special nozzle for his shower and dozens of cases of blended Scotch Cutty Sark wherever he went? 17. What do Ailsa Bay, Ben Wyvis, Kinclaith, Glen Flagler and Ladyburn distilleries have in common? 18. A film adaptation of classic novel Whisky Galore! was released in June. Which English actor and comedian played the character of the indefatigable Captain Waggett? 19. Diageo archivist Christine McCafferty came by a bottle of Old Highland Malt, the precursor to Johnnie Walker, which dates back to around 1870. What surprise did she find inside the bottle? 20. Which iconic 1851 Scottish painting that has been associated with Dewar’s, Glenfiddich, Walkers Shortbread and Baxter’s Soup, was put up for sale in December? 1. Inchdairnie distillery, which became operational in May. While BrewDog’s distilling venture Lone Wolf sprang to life in April, it is yet to distil whisky. Meanwhile, Torabhaig distillery began operation on Skye in December. 2. Glenmorangie. The White Lady is said to have an ability to remove whole sheets of wallpaper without causing a tear. 3. Kirsteen Campbell. Gordon Motion remains with Grouse owner Edrington as master whisky maker. 4. Ben Wyvis. It was renamed Ferintosh in 1893 after being sold to an Irish company. 5. Lagavulin. The Islay distillery was first licensed in 1816, though illicit distilling had been undertaken in the bay for many decades. 6. Hunter Laing & Co, which has already started work building Ardnahoe distillery on the island’s north-east coast, near Port Askaig. 7. c) 1.6 million. The number of visitors to Scotch whisky distilleries has risen by 20% in the last five years. 8. £68,500. The amount was paid by a bidder from the Far East. 9. Tamnavulin. The distillery released the no-age-statement Double Cask as a single malt in the UK. 10. Brora. The distillery was built in 1819, and closed in 1983. 11. Speyside Craft Brewery in Forres. Glenfiddich finished its single malt in casks previously used to brew a bespoke IPA created by the brewery. 12. 0.4%. Compass Box designed its Three Year Old Deluxe as a statement on the transparency restrictions it faces. 13. Johnnie Walker. Around 30m bottles of the blended Scotch’s Red Label will feature nutritional content such as calories per serve by the end of 2016. 14. Glenturret. The Paisley-born, teetoal Scot was the latest Scottish celebrity to feature in the Highland distillery’s Bottle Your Own series. Other celebrities to feature in recent years include tennis player Andy Murray and actor Ewan McGregor. 15. Pulteney. As well as featuring abnormally large boil balls, an unused rectifier is attached to the spirit still (right), the coiling lyne arm for which resembles a plumber’s nightmare. The wash still, meanwhile (left), has a rarely seen flat top. The story goes that the height of the ceiling (which has since been raised) wasn’t measured before the stills were installed, prompting founder James Henderson to lop the top off the wash still. 16. Lyndon B Johnson. Apparently the President, who served from 1963-69, could ‘handle two-fifths of Cutty Sark every night’. 17. They were all built within grain distillery complexes. Ailsa Bay and Ladyburn were both built at Girvan; Ben Wyvis at Invergordon; Kinclaith at Strathclyde; Glen Flagler at Inver House/Moffat. 18. Eddie Izzard. Director Gillies MacKinnon thought the comedian, who had been an officer cadet at school and once thought of joining the Army, would make a sympathetic Captain Waggett. 19. A snake. It’s likely the bottle was shipped to the Far East where the whisky was used as pickling liquid, before making its way back to Scotland. 20. Edwin Landseer’s The Monarch of the Glen. The painting’s current owner, Diageo, has postponed the sale of the piece at auction to allow time for the National Galleries of Scotland to raise enough funds to purchase it. Are you a whisky buff or novice? Test your knowledge in our annual whisky quiz.